A beach in the Western Isles has been named one of the UK's best beaches in the TripAdvisor Travellers' Choice Awards Luskentyre on Harris has been placed number four in the awards' top 10 UK beaches. I am originally from Cork on the south coast of Ireland. After completing a Biochemistry degree at University College Cork I worked as a development biochemist at Novartis Pharma in Switzerland for one year. I then decided to do a PhD in Cancer Research, choosing to do this at Ninewells Hospital in Dundee due to its excellent reputation for research and to be close to the outdoors. During my time in Dundee I fell in love with Scotland and have been living here ever since. After I finished my PhD I completed a post-doctorate in Cancer Research at Ninewells Hospital. During this time close collaboration with many doctors made me realise I wanted to work more closely with patients. This prompted the decision, at the age of 30, to return to Medical School, graduating from Dundee Medical School in 2014. I wanted to be close to the outdoors and therefore chose to carry out my foundation year one at Raigmore Hospital in Inverness. I then carried out foundation year two in Aberdeen. I decided to apply for North of Scotland GP training as it offers an excellent program with dedicated trainers. Additionally, I am passionate about the outdoors and Aberdeenshire offers fantastic year round opportunities for different activities. 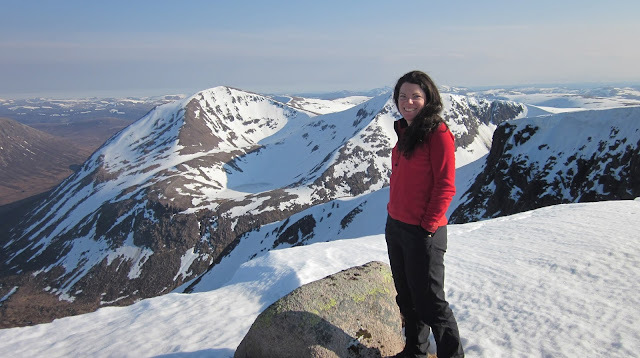 These include great hillwalking in the Cairngorm National Park, endless mountain bike trails, road cycling on quiet country roads, sea kayaking along the beautiful East and North Eastern coastlines and skiing at a range of Ski resorts within a ninety minute drive from Aberdeen. There is amazing wildlife with regular sightings of dolphins along the coast as well as some of the best birdwatching sites in Scotland. I was very fortunate to get accepted to the Grampian program which offers training in great locations in Aberdeenshire. We were offered the opportunity to rank our GP practices and I was fortunate to get accepted to the Banchory Group Practice, located in beautiful Deeside and offering a great sense of community. If you are passionate about the outdoors then North of Scotland GP training is a great choice. NES run a number of core workshops in areas trainees may find difficult to cover during their training. We recently had an ophthalmology course which was really useful and interesting. We are lucky in Aberdeen to have good links between Primary and Secondary care with minimal hassle when referring. There is an email for advice which is usually replied to within a few hours. We also have the Clinical Decisions Unit, which is the Hospital’s telephone referral line and also covers ophthalmology. If you are unsure or have a question, you can phone the CDU and speak to an experienced nurse practitioner or ophthalmologist. They provide advice on how to further manage the patient, whether they need referred and where the most appropriate place would be. Grampian also have the Grampian Eye Health Network which allows easy referral between Primary Care, optometry, pharmacy and ophthalmology. Optometrists in Grampian are well equipped and highly skilled and provide services which many Primary Care centres cannot such as foreign body removal. The service is a good one and is a great asset to Grampian, making things easier for doctors and improving patient experience.